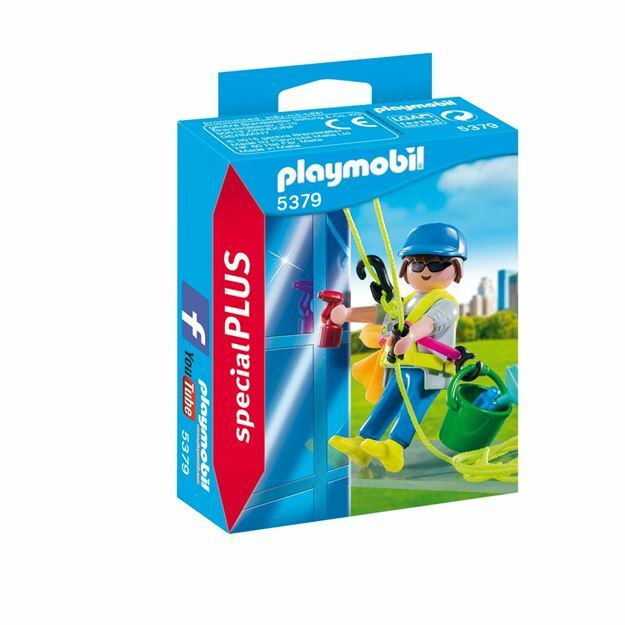 The Playmobil Window Cleaner features a busy window cleaner ready to take on the days tasks. Includes: a figure, safety harness and all the equipment needed to make windows squeaky clean. Part of the Special Plus Range. Age 4+ years. Distributed in New Zealand by Holdson.